This coil bracelet from Honora wraps and overlaps. Crafted in sterling silver with white pearls, the piece has no closure, resting around your wrist stylishly. The ends are punctuated by silverwork stations with a bead design that echoes the shape of the pearls. 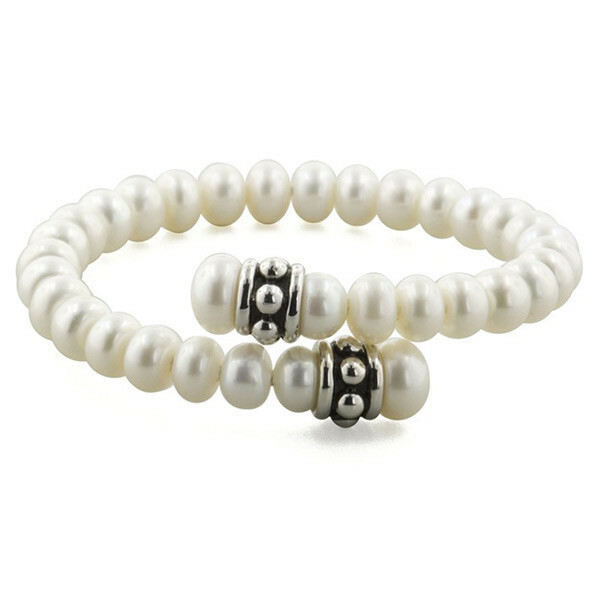 This bracelet has a captivating curl that's perfect for all pearl girls!